As a revolutionary heat resistant material, nTHERM™ is redefining the relationship between the weapon and the shooter. 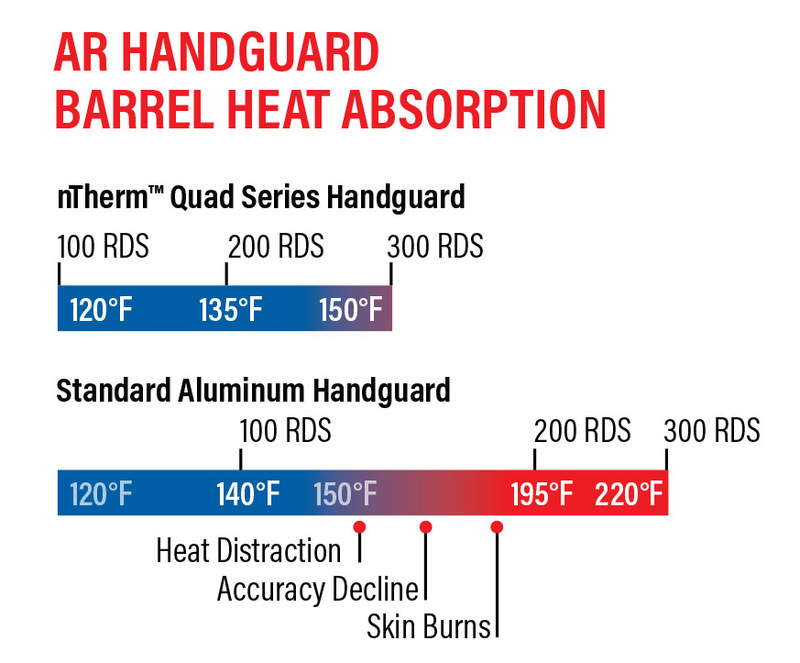 nTHERM™ allows the shooter a more dynamic shooting experience with heat resistant capabilities that allow a shooter to withstand barrel temperatures of 600 degrees. Available in a drop-in 7” or the spear-head free-floating 13” design, the Ascendance Quad Series is cool to the touch, lightweight and as durable as aluminum. The same game changing nTHERM™ used in the Ascendance Quad Series has been used to create the more sophisticated Ascendance Configurable Series forearm. This lighter less cumbersome version is uniquely designed for comfort and convenience. With added accessories, the Ascendance Configurable Series allows the user to personalize the weapon while maintain a cool to the touch grip on the forearm. 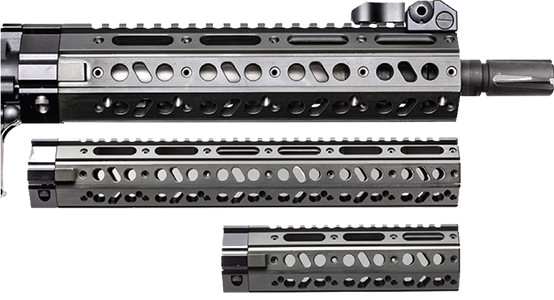 Weapon Performance: The only 300+ round continuous firing handguard in existence that enables active barrel heat dissipation, ventilation and cooling. Operator Effectiveness: Mitigates heat transfer to user even as barrel temperature pushes 600°F enabling first shot like the last shot performance … greater control equals greater accuracy. Lighten the Load: 20% weight reduction with strong, rugged composite material that has field performance on par or greater than aluminum. 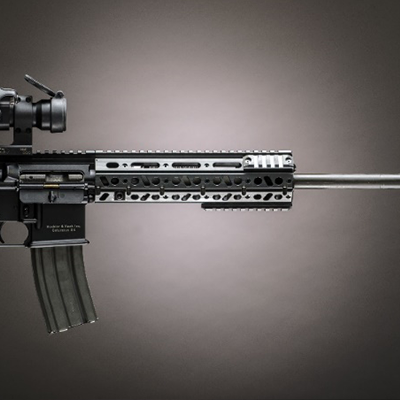 No Special Tooling Required: 100% compatible with all standard gas impingement rifles and the Heckler & Koch 416 platform. nTherm- has standard mounting fixtures and does not impede normal weapon functions.